It was a beautiful, clear, cold night in Steamboat Springs, and my boyfriend and I were headed for what was going to be a fabulous romantic evening. He surprised me by getting dinner reservations at Hazie's. Hazie's Restaurant is located at the top of the gondola on the Steamboat Ski Resort. Luckily for me he didn't pack the snowshoes (it would have been a long hike), but instead we took a nighttime gondola ride. We walked into the gondola area and were greeted by happy lift operators who were quick to assist you into the gondola and promptly supply you with warm blankets for your ride up the mountain. As the gondola car rode higher and higher, the views of Steamboat were enchanting. It seemed our quaint little town was lit up just for us! Hazie's is a lovely gourmet restaurant with great service, knowledgeable staff and views to die for! When you book your reservation with our concierge, try to ensure you have a table right next to the windows! The menu is delicious with lovely varied choices, from Spicy Thai Prawns to Filet of Buffalo. Hazie's wine menu is quite large with unique wine choices that can be perfectly paired with your dinner choices. After a delectable dinner and a lovely night out, we once again boarded the gondola for another perfect view of Steamboat at night. 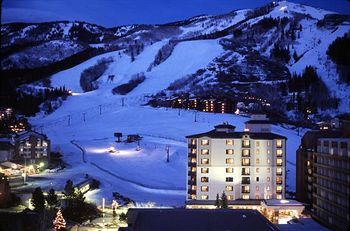 When you stay with us at ResortQuest Steamboat we want to ensure you know all the best activities to do in Steamboat so your vacation will be perfect! Contact our Concierges to book any of your Steamboat activities with your lodging. After your perfect romantic night, return to a luxury vacation rental to cuddle by the fire and enjoy your vacation! See our current lodging deals!